The 2013 PAGES 2k consortium reconstructions have shown clear regional expressions of temperature variability at the multi-decadal to century scale, whereas a long-term cooling trend prior to the 20th century was evident globally. These findings pointed to the necessity of understanding regional differences for a truly global view. 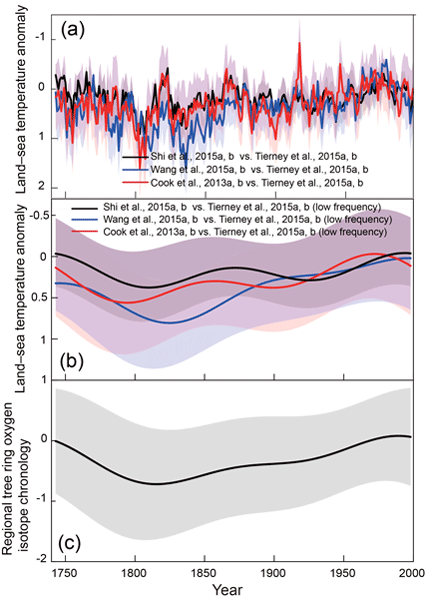 This special issue intends to assemble papers proceeding from the coordinated efforts of the PAGES 2k network to refine temperature reconstructions and create a history of regional precipitation changes. To achieve this goal, it will gather a series of synthesis papers from each PAGES regional group, i.e Australasia, Arctic, Antarctic, South and Central America, North America, Europe, Asia and from the Oceans, as well as transregional comparisons. This special issue will include reconstructions from not only various types archives, e.g. documents, tree rings, sediments and ice, but also model-proxy comparisons, analyses of modes of variability and assessments of dating uncertainties. We reconstructed the multi-proxy precipitation field for China over the past 500 years, which includes three leading modes (a monopole, a dipole, and a triple) of precipitation variability. The dipole mode may be controlled by the El Niño–Southern Oscillation variability. 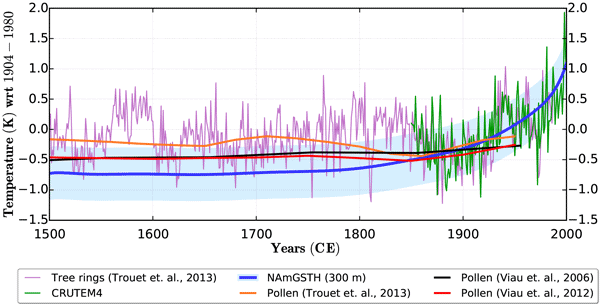 Such reconstruction is an essential source of information to document the climate variability over decadal to centennial timescales and can be used to assess the ability of climate models to simulate past climate change. Water availability is fundamental to societies and ecosystems, but our understanding of variations in hydroclimate (including extreme events, flooding, and decadal periods of drought) is limited due to a paucity of modern instrumental observations. We review how proxy records of past climate and climate model simulations can be used in tandem to understand hydroclimate variability over the last 2000 years and how these tools can also inform risk assessments of future hydroclimatic extremes. To understand how climate change will influence Australian rainfall we must first understand the long-term context of droughts and floods. We reconstruct warm and cool season rainfall in Australia's eight major climatic regions for several centuries into the past, building the clearest picture yet of long-term rainfall variability across the Australian continent. We find recent rainfall increases in the warm season in the north, and declines in the cool season in the south, to be highly unusual. Existing sedimentary palaeoclimate records in Australasia were assessed for suitability for examining the last 2 millennia. A small number of high-quality records were identified, and new Bayesian age models were constructed for each record. Findings suggest that Australasian record chronologies and confidence in proxy–climate relationships are the main factors limiting appropriate data for examining Common Era climate variability. 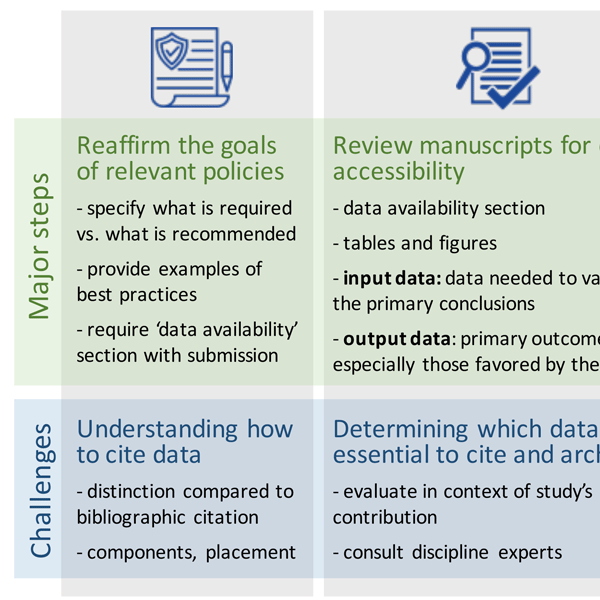 Recommendations for improving data accessibility are provided.